Metcam Inc., a fabricator of sheet metal components and assemblies for original equipment manufacturers (OEMs), recently hosted the Next Generation Manufacturing Tour at its Alpharetta, Ga., headquarters. A group of nearly 40 manufacturers and manufacturing service providers learned about the company’s processes, products, and production. 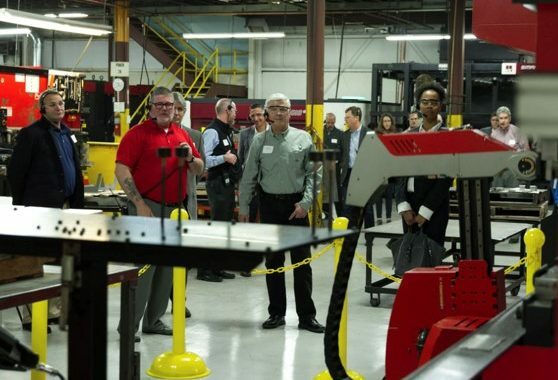 Attendees toured eight work centers on Metcam’s shop floor, including fiber lasers, the panel bender, the automatic tool changer, welding, and hardware and paint. They learned how a 300-unit job that used to take two days and three operators on the traditional press brake now takes 16 hours or less on the panel bender. Also, zero parts from the workstation have been rejected or scrapped since April 1, 2018. 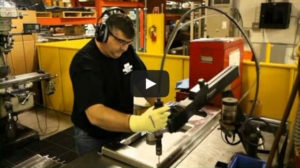 The fabricator has developed employee-led kaizen teams. The personnel on the front lines of production have, without top-down instruction, taken on the mantel of evaluating their work setup, tools, and flow and coming up with improvements.